A familiar face will be cruising through Marvel’s cinematic galaxy come this August. 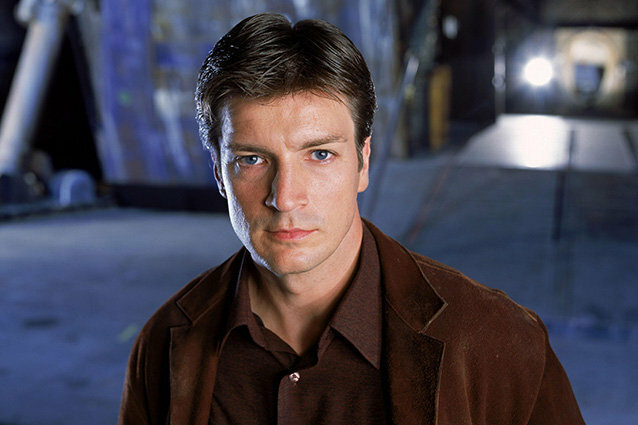 Guardians of the Galaxy director James Gunn has confirmed that the one and only Nathan Fillion will appear in the upcoming space adventure in a “very small fun cameo.” While earlier rumors suggested that Fillion might play a bigger role in the film, Gunn set the record straight via his Twitter account last night. With Fillion’s addition the cast, Guardians of the Galaxy is looking like it might be the most geek-friendly film of the decade. In light of the good news, we’ve decided to assess to geek cred of every major cast member in the film. Geek Cred: Through his frequent collaborations with nerd Jesus Joss Whedon, including a guest-stint on the last season of Buffy and a leading role in the cult sci-fi western Firefly, Fillion has built up an incredibly loyal legion of fans. Even 10 years after it’s cancelation, some of the more deluded browncoats out there still believe there’s a chance Firefly can somehow become un-cancelled. Now, there’s some credibility for you. Geek Cred: Pratt doesn’t have a whole lot of nerd fodder to his name, but appearances in the comic book film Wanted and the underappreciated horror comedy Jennifer’s Body to give him a decent boost. Geek Cred: Saldana has a prominent role in the newest chain of Star Trek film, though that might boost or diminish her cred, depending on who you talk to. There are similarly mixed feelings about her other two genre pictures, Avatar and The Losers. Geek Cred: Unfortunately, Bradley Cooper doesn’t have the most geek friendly filmography as of yet, but his role as Rocket Raccoon should change that quite soon. Geeks might remember him in Alias, but even in the J.J. Abrams show, he wasn’t the one doing the cool spy stuff. Geek Cred: Huge! Gillan three-year stint on the British import Doctor Who was almost perfectly timed with the show’s explosion in popularity in the states. Geek Cred: Not very high. Hounsou has enjoyed small roles in things like Stargate, Alias, and Eragon, but noting really major for geeks to really get to know the actor. Geek Cred: Reilly doesn’t have a huge backlog of geeky things on his resume, but Wreck-It Ralph and his work in the absurdly wonderful world of Tim and Eric does give him some clout to work with. Geek Cred: Despite being a A-lister in Hollywood, Close has mostly steered clear of genre pictures, though her appearance in Mars Attacks! does give her something. Geek Cred: Rooker’s cred skyrocketed with his role as Merle on The Walking Dead, but the longtime character actor has stealthily built up quite the geeky filmography over the years with appeareances in shows like Chuck and Archer. Geek Cred: Fans recieved a snapshot of Del Toro’s “The Collector” character in the end credits stinger for Thor: The Dark World, but beyond that, the actor’s geek cred is pretty slim. Geek Cred: Huge. Even outside of his career, Diesel is a well-documented geek and enjoys playing Dungeons and Dragons on his off-time. He has also developed a good relationship with fans, appearing in video game adaptations of his Riddick films, and even putting up his own money to fund the 2013’s Riddick. Geek Cred: Pace has impressed in the last two Hobbit films, but he doesn’t quite have the same history as some of his cast members.